A total of 615 hogs have been infected since August 15 with swine fever in Lianyungang, where authorities have banned hogs related products. 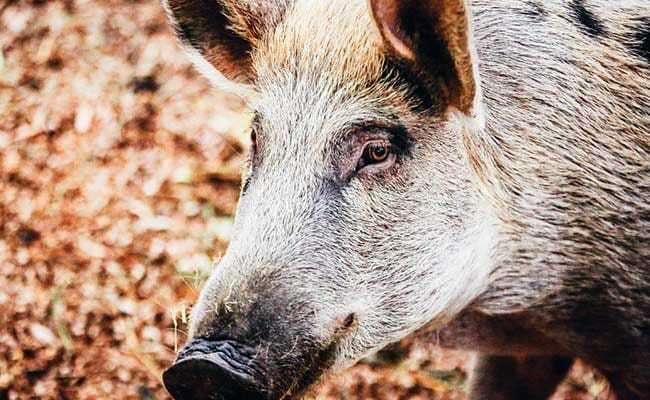 China's Ministry of Agriculture today said hogs had died from African swine fever in the eastern city of Lianyungang, the third outbreak this month, as the highly-contagious disease threatened to spread through the world's biggest pig herd. A total of 615 hogs have been infected since August 15 with the swine fever in Lianyungang, in Jiangsu province, where authorities have banned the movement of hogs, related products and animals that are easily infected both into and outside the affected area, the ministry said. Emergency measures, including culling and disinfecting animals, have brought the outbreak in the city's Haizhou district under "effective control," the ministry said. By road, Lianyungang is about 1,300 kilometres (808 miles) south of Shenyang, the provincial capital of Liaoning province, where China's first case of the fever was reported on August 3. The pigs found to be infected in Zhengzhou had travelled from a live market in Heilongjiang province, which, like Liaoning, is in China's northeast. Liaoning has culled more than 8,000 hogs in an attempt to contain the outbreak, while a unit of WH Group, the world's top pork producer, said it had culled 1,362 pigs at the slaughterhouse where the Zhengzhou cases were discovered.